Taiwan is interested in participating in the regional comprehensive economic partnership, an ASEAN-led trade agreement of Asia-Pacific countries. 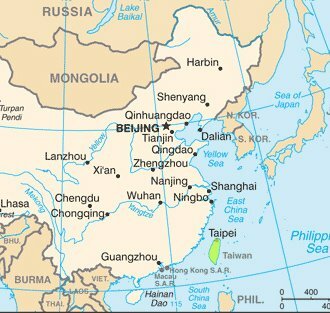 Taiwan wants to take part in a proposed regional trade agreement but is still assessing the mode of participation and its impact on industry, an official of the Ministry of Economic Affairs said Saturday [13 April 2013]. The official said that although Taiwan hopes to take part in the regional comprehensive economic partnership (RCEP), an Association of Southeast Asian Nations (ASEAN)-led trade agreement linking the economies of 16 Asia-Pacific countries, doing so will be difficult due to the sensitive sovereignty issues involved. But Taiwan could perhaps use the model under which it joined the World Trade Organization in the name of the "separate customs of Taiwan, Penghu, Kinmen and Matsu" to achieve participation in the RCEP, the official said. At the East Asia Summit held late last year, regional leaders formally agreed to launch negotiations on the RCEP, which aims to be the largest free-trade bloc in the world, comprising all 10 ASEAN nations and the six other countries with which the group has free-trade agreements -- China, India, Japan, South Korea, Australia and New Zealand. The grouping represents a population of around 3 billion people and has a combined GDP of nearly US$20 trillion. Negotiations started this year and are expected to conclude by the end of 2015. The official noted that in terms of regional integration, Taiwan has been seeking the opportunity to join the RCEP, in addition to the Trans-Pacific Partnership (TPP) free trade agreement. In comparison, economic integration in the TPP is deeper than that of the RCEP, but the official said that this does not mean Taiwan has a bigger chance of joining the RCEP or that its impact on the country's industry will be smaller. Meanwhile, a scholar said that whether it is the TPP or the RCEP being discussed, the most urgent task will be to complete follow-up talks on the Economic Cooperation Framework Agreement signed between the two sides of the Taiwan Strait in June 2010. Wu Fu-cheng, deputy director of the Department of International Affairs of the Taiwan Institute of Economic Research, a Taiwan think tank, said that if the follow-up talks cannot be concluded, it will hamper the chances of taking part in the TPP or RCEP negotiations. He said the RCEP hopes to open to new members after completing initial negotiations in 2015. The premise for opening to new members will be that such new members will have to have signed a free trade agreement with at least one of the 16 countries in the group, which makes economic cooperation agreements with New Zealand or Singapore vital for facilitating talks on joining the RCEP. Wu advised adopting a balanced strategy to achieve the goal of joining the TPP and RCEP simultaneously. He noted that China and Southeast Asia are major export destinations for Taiwan, and said Taiwan's participation in the RCEP will help its industrial development. But at the same time, Taiwan has close relations with the United States on the diplomatic, trade and technology fronts, so it should also make concerted efforts to join the TPP, he said.